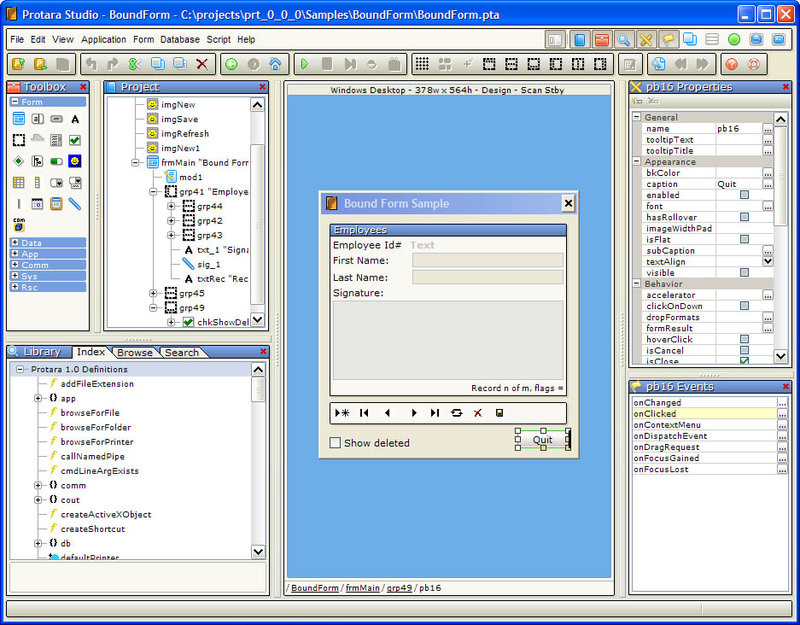 Protara is an easier way to build applications for Windows or Windows Mobile. Use an integrated development environment to design forms using a drag/drop style, create then edit databases, write scripts using syntax highlighting, auto-complete and call-tips, get assistance from an integrated help system, then debug and finally deploy your applications as standalone Windows executables for desktop, console, or Windows Mobile devices. Protara is an easier way to build applications for Windows or Windows Mobile. Professional multi-language text editor; Unicode-ANSI/UTF-8, GBK-Big5 transfers. Theme enabled virtual desktop manager that replaces standard Windows desktop. Qweas is providing links to Protara Standard Edition 1.0 as a courtesy, and makes no representations regarding Protara Standard Edition or any other applications or any information related thereto. Any questions, complaints or claims regarding this application Protara Standard Edition 1.0 must be directed to the appropriate software vendor. You may click the publisher link of Protara Standard Edition on the top of this page to get more details about the vendor.